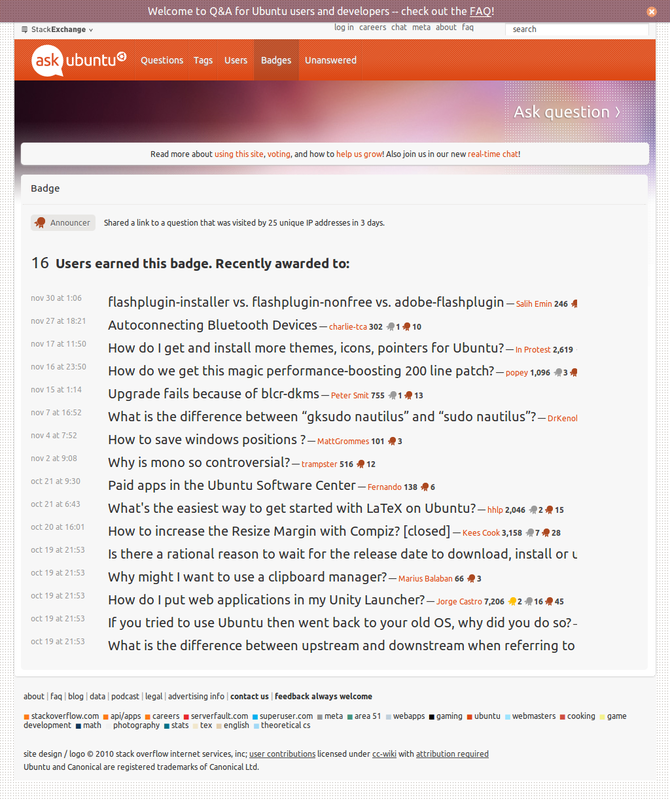 As you can see in the above screenshot, if the question is too long, the information about the user who received the Announcer badge is cut off. Truncation of the post text with either an Ellipsis (...) in the middle or at the end to ensure proper rendering. Alternatively moving the badge winner to the front of the post rather than the end should alleviate this issue. Not the answer you're looking for? Browse other questions tagged bug status-completed design badges .